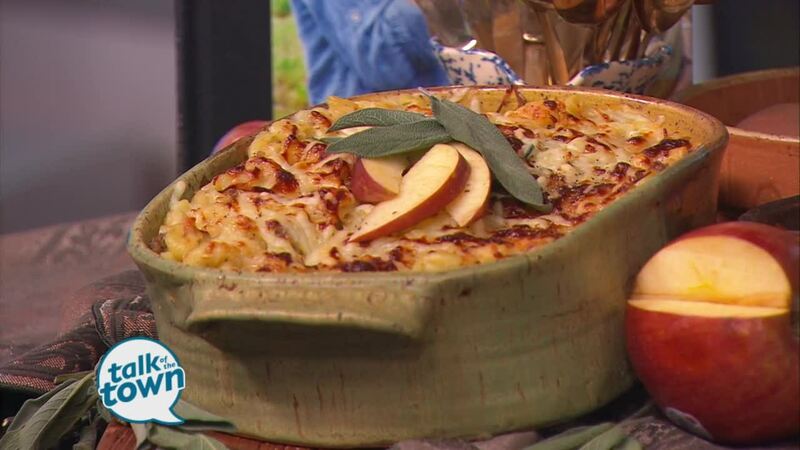 Food NEtwork Star and cookbook author Trace Barnett made Sausage-Apple Mac & Cheese. (see recipe below) Trace's new cookbook "Tracing Roots: A Modern Approach to Living Off the Land" is available wherever you buy books. Check out Trace’s lifestyle blog at www.thebittersocialite.com . 3. Prepare pasta according to package instructions; reserve 1 cup of pasta water. cheese until thickened and creamy, about 8–12 minutes. Remove from heat. for 25–30 minutes, or until bubbling and golden brown on top.